But for the tag editor, the situation is different. I only see one dialog and one custom-defined tag. 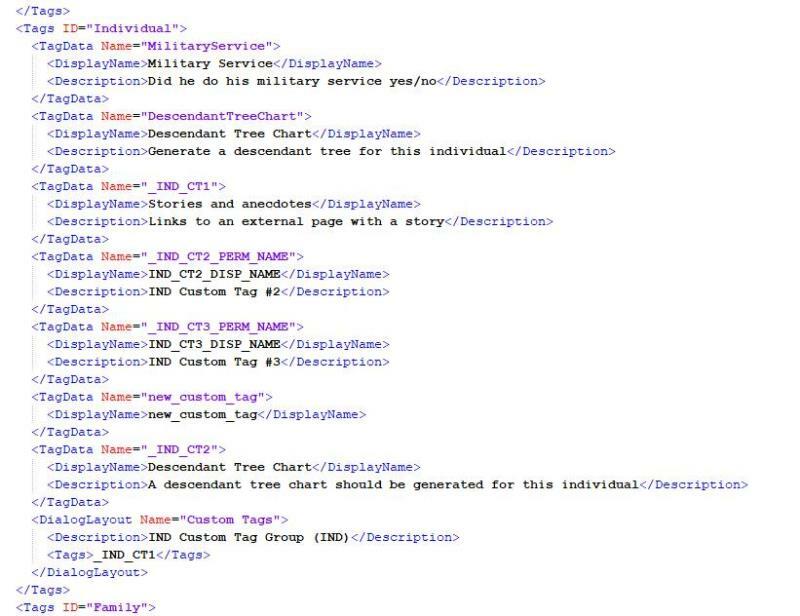 And here is the xml code. So, why these different views? Custom Tags do not have to belong to a Layout. A Custom Tag can be part of one or more Layouts or none. When you add a new, i.e. 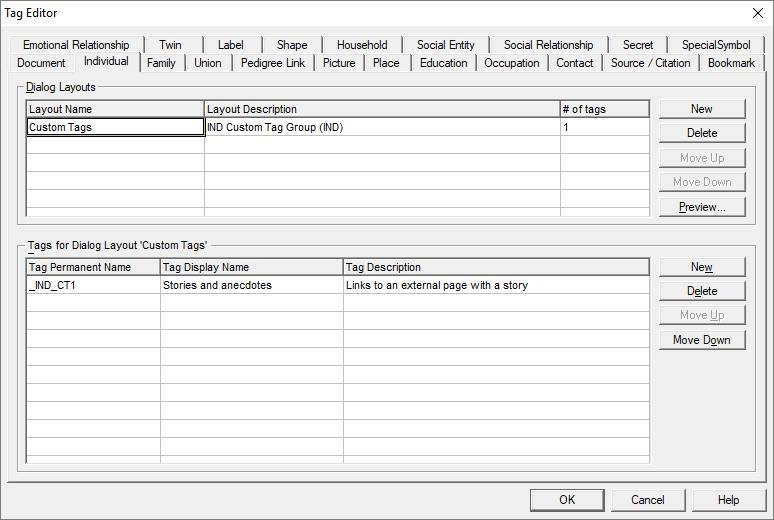 not previously created, tag to a Layout, the tag is created, but when you remove a tag from a layout it is not deleted. I had to read it twice and try it out before I understood what happened. I must have "deleted" some tags in the past using the tag editor, not realizing that "delete" actually means "remove from profile". Thanks for directing me to the magical table layout once again Mr Potter, euh, Genome.